Please note: we no longer own Glenfield Park Business Centre, but this doesn't detract from the achievements of STF Solutions. Congratulations to specialist fire and life safety firm, STF Solutions, which is planning a business expansion after receiving an Investors In People award. 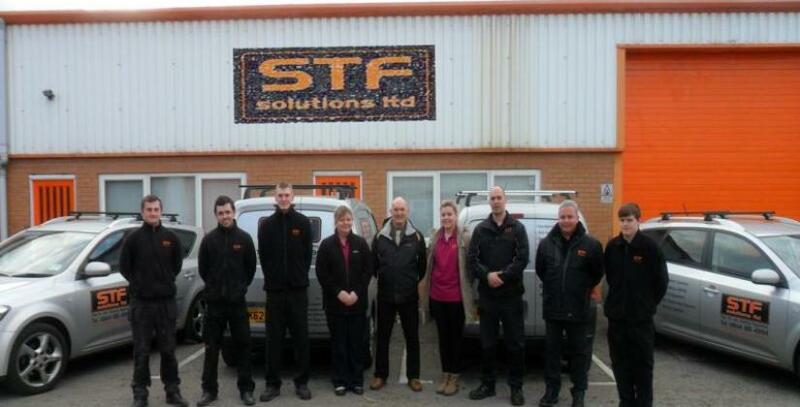 Based at our business centre in Blackburn, STF Solutions has now set its sights on achieving the Bronze award in the near future, which is just three targets away. The firm has been established for five years and provides commercial fire and life safety services for businesses, schools, industry, hospitality, retail, local government and more. These include alarm systems, sprinklers, extinguishers, security systems and a host of other services. At Bizspace we like to work with our customers whenever possible, and STF Solutions has just won the contract to maintain our fire alarms and emergency lighting at our 23 North West business centres. Keen to build on its recent contract wins and accreditation, the company is looking to take on new staff, including a salesperson, administration staff and an engineer. “We are delighted to have our commitment to staff and customers recognised with the Investors In People standard, and we are looking forward to working more closely with Bizspace,” Operations Manager Dion Linaker says. “The business centre is minutes away from the key motorway networks, allowing us to provide a swift response when our customers need us,” Dion says.